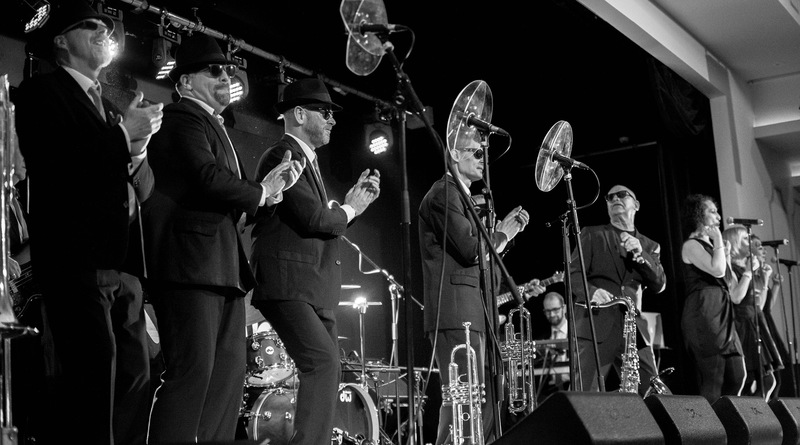 One of the top 60's style Soul Bands performing in the UK today, The Rumble Band are a Lincolnshire based 13 piece Soul and Motown dance band with a 30 year career behind them. They have built up a solid reputation based on their outstanding and exciting live performances. The Rumble Band can guarantee your wedding, private function, corporate event, public arena or festival will be an outstanding success for all the right reasons. Please contact us to check availability. The band provide an amazing "60's Soul and Motown Review" show for the evening for any audience, and have shared the spotlight in sell-out nights with such Soul and Motown legends as: Martha Reeves and The Vandellas, Edwin Starr, Ben E. King, Clem Curtis and The Foundations, George McRea, Jimmy James and The Vagabonds, The Real Thing, Jimmy Ruffin, The Four Tops ... as well as many other professional performing artists from USA and the UK. The Rumble Band have taken their show to many of London's top Hotels, including The Savoy, The Grosvenor House, Park Lane, The Landmark and The Conrad. There were also exceptional sell-out shows at The Alexandra Palace and The Roof Gardens. With such an extensive back catalogue of Soul and Motown hits from the 60's and 70's this 13 piece live band are requested to play at many venues across the country as well as further afield. A significant number are usually private events such as corporate events, weddings, private parties etc. The band always hire in a professional pa. company to guarantee the best sound possible for your event and is included in the cost. Please contact us with your enquiry as soon as possible to avoid dissapointment as we usually book up to 18 months in advance. £10.00 entrance fee will include our trademark Rumble Hat and shades. "Many thanks for playing at my birthday, woke up this morning and had received over a hundred messages on my phone complimenting the band. What a treat to have you guys here. Great band, great sound and you had everyone dancing all night" - Gordon Stracken.